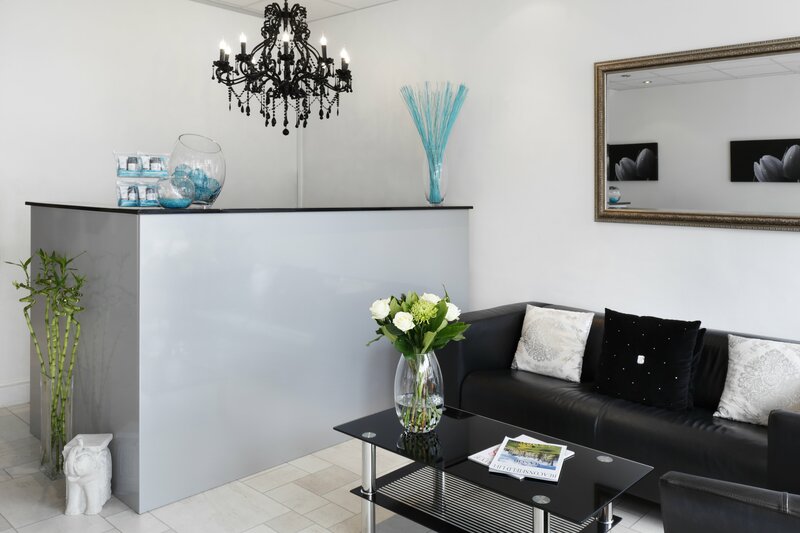 Situated in Beaconsfield New Town, Beena's Beauty Clinic offers a wide variety of professional treatments from essential waxing and nail maintenance to indulgent pampering. Our team of highly experienced and qualified beauty therapists ensure your treatments are of the highest standard, combining skill with attention to detail to ensure you look your best when you leave our salon. Our goal is to provide unparalleled customer service and it is our personal touch that makes us so different from other salons. Our specialist treatments include skin rejuvenation and permanent hair reduction. Whether you want a new look for that special occasion or you are ready for a complete rejuvenation, come for a consultation with one of our therapists. My skin is always rejuvenated after a visit to Beena’s. I had a lovely relaxing visit to have my toenails painted. Excellent job done. A very friendly, comfortable and warm ambiance in the salon. Returning next week for a manicure. Beena has just given me the most beautiful eyelash extensions! My own are quite sparse and now they look full and glossy, but still natural . I love them! And the process was so gentle that I fell asleep while she worked! Great atmosphere, really lovely people and a great job done , really happy with my visit definitely coming back !???? Very friendly and left so relaxed ???? Absolutely love my lashes and the care they get from Beena. The treatment is always quick and relaxing. Beena is a wonderful human being to be talking to. Couldn’t be happier with my eyelash extensions. Definitely the best result I’ve had after years of having lash extensions. Couldn’t have asked for more helpful or friendly staff. Thank-you very much! Beena is an expert with the thread and I’m always very happy with the results, whatever treatment I’m having. I love Beena’s salon. Expert, fabulous staff who know what they are doing! Friendly service. Was surprised to see such a beautiful, relaxing and welcoming atmosphere. Was so much cheaper than other places I've looked in to. Too early to tell overall results but have related highly on what I can see so far. Went to Beena’s to get some nail art and absolutely loved it. Now have amazing nails and really enjoyed my time there. A nice, relaxed atmosphere and lovely staff. They managed to squeeze in an upper lip wax too so I’m doubly delighted. Thank you, I will be back. Back to Beena again for cashmere eyelash extensions and again not disappointed! I look forward to my regular appointments for some much needed R&R and walk out feeling like me again! From the moment you walk in the door you feel an immediate sense of peace. The girls are so calm and welcoming and the little time I have to relax Beena always makes certain that I am comfortable and aims to please with 110% efforts. Her knowledge and capability ensures you are in the right hands and this is mirrored throughout the salon. Lovely shellac nails in friendly atmosphere. Have been to other salons but none of them provide the service I receive at Beena's.